Short (64p) and extremely good explanation. The best introduction for the more thoughtful person. Nicely laid out making a good present. A short, simple and often humorous explanation of Christ’s message. Ideal for those with no Christian knowledge. A well used and perhaps the most straightforward explanation of Christ’s message. Short (p57), large type explanation of Christ’s message for those over seventy. Fantastic for any struggling with getting older. The best at a more philosophical and higher level of engagement with key questions people have. Nicely laid out making a good present. Still a classic philosophical and more wordy defence and outline of Christianity. Twelve life stories of people who have come to faith in Christ. Excellent for helping people see the impact knowing Christ can have. 13 short chapters, each dealing with a key objection or question people have to the Christian message. The best simple overview of answers, but limited because brief. It needs following up with something deeper on the questions the reader needs more help on. A journalist interviews experts on the reliability of the gospels, the claims of Jesus and the evidence for the resurrection. Very readable and compelling. Stretching book about why God can be both just and loving in punishing people for their sin. A whole book on the question of why God doesn’t stop suffering. Written by someone who has severely suffered. This book answers this question. Much on how the Bible came about, why it is reliable and some of the problems people have with it. A journalist interviews experts who show there must be a designer behind our universe. Superb explanation of the Bible’s message and the message of Christ. Very accessible and with various stories of Christian today included. For those who never leave their computers. 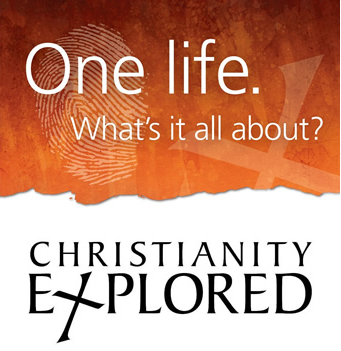 This has video clips, presentations and simple answers to the key questions people have about Christianity.